A while back, my fellow blogger Dr. Ted Van Raalte wrote a series of posts on Tim Keller. In one of those posts, he mentioned (in passing) the Dutch philosopher Herman Dooyeweerd. 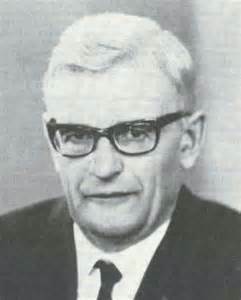 Dooyeweerd was the founder of a school of thought which is often termed “cosmonomic philosophy.” As noted in that blog post, this school has been subjected to some criticism from within our Reformed tradition, most notably by Dr. J. Douma. I just finished reading John Frame’s A History of Western Philosophy and Theology. I’ve read a number of works by Frame and this is definitely among his best. He surveys the most influential thinkers — both those from within Christianity and those who’ve impacted Christianity. Among those thinkers is Herman Dooyeweerd. He gets about five pages of attention in the last chapter. Frame’s approach in this volume is to summarize the important features of a philosopher/theologian and then provide some brief analysis and commentary. When it comes to Dooyeweerd, Frame begins with as simple an explanation as you’ll find of the key features of cosmonomic philosophy. Dooyeweerd distinguishes between fifteen “modal aspects” or “law spheres” in the world. For example: faith, moral, history, biotic, energy, spatial, and numerical. Says Frame, “Each modal sphere defines a particular science: mathematics the science of number, physics the science of kinetics, biology the science of life, and so forth. Theology is the science of faith” (519). As I hinted above, this is far more complicated — I’ve only highlighted a couple of features. Though I hesitate to criticize this undoubtedly impressive intellectual structure, I have found fault with it in detail, and particularly in the doctrine of revelation that emerges from the project. As I mentioned, for Dooyeweerd the Word of God is a supertemporal reality that speaks to the human heart in a realm beyond all theory and concept. Scripture, however, is a temporal book. It is directed toward the faith aspect, studied by the science of theology. Now, Dooyeweerd might have argued (in the spirit of Kuyper) that since the faith aspect retrocipates all other spheres and all other spheres anticipate it, Scripture addresses all areas of human life, though it deals focally with faith. Dooyeweerd chose, rather, to say that Scripture’s focus on faith is exclusive, so that Scripture may not address the concerns of other spheres. So disciples of Dooyeweerd have argued that Scripture does not teach morality, the difference between right and wrong. Dooyeweerd himself taught that the “days” of Genesis 1 cannot be literal, since Scripture is about only faith, not numbers. The days of Genesis are faith numbers, not numerical numbers. In that excerpt, Frame refers in a footnote back to some earlier work he has done in response to cosmonomic philosophy — you can find that helpful work here. The bottom line: Dooyeweerd did not have a biblical view of the Bible. Scripture says in Psalm 36:9b, “in your light do we see light.” And in Psalm 119:105, “Your word is a lamp to my feet and a lamp to my path.” With no justification, Dooyeweerd qualifies those sorts of passages so that they refer only to the faith (pistical) sphere. As a result, he also ran up against the biblical doctrine of creation. This school of thought sometimes goes by the name “Reformational,” but unless it really starts and finishes with the Bible and what the Bible says about itself, it certainly cannot be called Reformed.